Ramia is an 11 months old baby girl who was born in Kabertoo Camp, an IDPs camp which was created in 2014 after ISIS invasion. 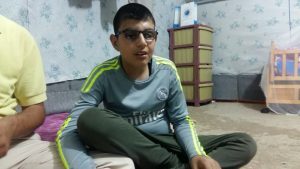 To date, the camp is still especially inhabited by people from Sinjar District. Indeeed, the Yazidi homeland is still plagued by a lack of support services, employment opportunities and insecurity. Ramia’s family home is a poorly equipped tent lost in a sea of other poorly equipped tents that are identical to their own. 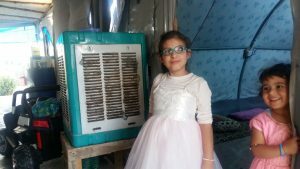 Ramia shares her tent with 10 other people, they are supported by a monthly government subsidy of 180,000 Dinars which is the equivalent of 150 USD a month. 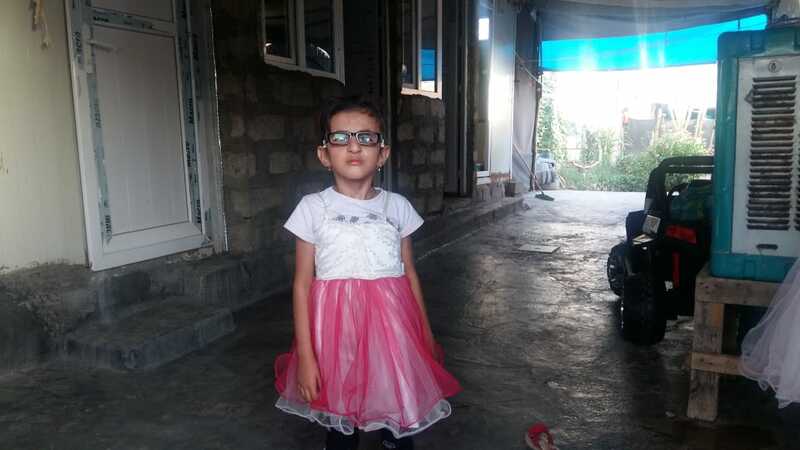 Ramia and 4 of her siblings have been diagnosed with Micro-coria which is the absence or incomplete development of the Iris making the pupils unable to dilate. This can cause glaucoma in childhood and early adulthood. Ramia underwent surgery that cost the family 2700 USD. The money was collected from other families in the camp and the surgery was successful. However, the family now is struggling to sustain the chronic medical expenses that they have on a constant basis. 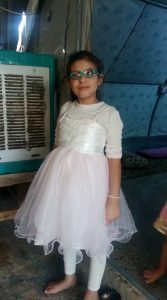 In fact, the 5 siblings need regular check-ups, medications, and now Ramia requires supplementary eye surgery to replace one damaged lens with an artifical one and ensure adequate vision. This operation costs 500 000 IQD. We want to support Ramia’s family, so we hope to receive donations to help them.